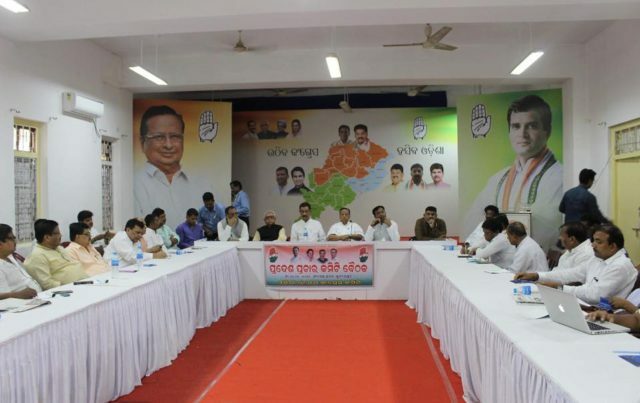 Report by Kahnu Nanda; Jagatsinghpur: The Odisha Pradesh Congress Committee [OPCC] has articulated endeavor to shortlist candidates ahead of releasing its first list of 50 nominees on early September for the 2019 assembly elections. The assembly constituencies which would be declared in first list is unknown but hectic political activities is on among the aspirants, candidates are lined up for the party tickets. Jagatsinghpur district comprises four assembly constituencies, congress ticket aspirants are huge in three assembly seats as Tirtol, Balikuda-Erasama and Paradip. 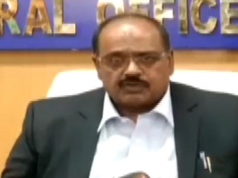 As OPCC president Niranjan Patnaik has announced recently that all the existing Party MLAs are likely to be fielded and given tickets in to the 2019 assembly polls following the declaration Jagatsinghpur headquarter assembly segment Party’s existing MLA Chiranjib Biswal would get ticket, so no aspirant lobbying directly for party ticket but sources said that as many as two headquarters congress leaders are targeting party ticket. 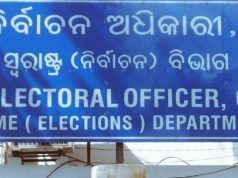 The OPCC has set guidelines that the candidates who lost their security deposits in the last 2014 polls would not be given party tickets, fortunately no congress candidates contested in 2014 elections from 4 assembly seats from Jagatsinghpur have faced losing security. Congress party has bagged Jagatsinghpur assembly seat by defeating BJD candidate Bishnu Das by a slender margin of 2888 votes but in other three assembly seats congress candidate’s defeat margin against BJD candidates are huge above 30.000 interestingly all the defeated party candidates from three assembly seats are in ticket lobby. Analyzing the 2014 assembly polls congress had fielded Arindum Sarkhel [Bapi Sarkhel] against BJD stalwart Damodar Rout. Bapi scored 46,606 votes polled only 32.35% votes while Damador Rout polled 85,206 votes secured 59.15% votes defeated Congress candidate Bapi Sarkhel in 38,600 huge margin of votes. This time Bapi Sarkhel is in ticket lobby citing his good public acceptance in Para dip and Kujanga areas being a trade unionist, social worker, philanthropist and a true Congress ideologue. Meanwhile one Pramod Jena who had contested 2009 assembly elections from Paradip had performed extremely poor scored only 13,000 votes is seeking Congress ticket for Paradip assembly seat for 2019 polls. Political observers speak that in 2014 elections Bapi Sarkhel and Pramod Jena were both contender of Congress ticket even both aspirants had reached Jagatsinghpur collector office for filing nominations with huge supporters and procession but Bapi successfully grabbed the party ticket impressing the then PCC president Jayadev Jena and AICC seniors in New Delhi distributing ticket. 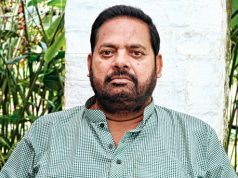 , Pramod Jena had deceived by few Congress seniors in state for obtaining ticket as his role in the past 2014 elections had remained dubious, allegations had leveled against him supporting Damodar Rout internally as consequence congress candidate Bapi Sarkhel faced humiliating defeat from Paradip assembly seat. The state ruling BJD has been retaining Balikuda- Erasama assembly seat since 2009 by defeating Congress candidates. In the year 2014 assembly polls congress had fielded ex MLA Dr lalatendu Mohapatra against BJD candidate Prasanta Kumar Muduli who defeated former by margin of 29,354 votes. BJD candidate polled 69,355 votes and congress aspirant satisfied with 39,981 votes secured only 21.98% votes. Congress candidate debacle is being attributed due to appearance of a Congress rebel candidate Sarada Jena in election fray who secured 23,948 votes. Disobeying party guidelines Sarada Jena a prominent youth leader and Ex Zilla Parishad member had been suspended from party, recently the suspension order has been revoked by OPCC interestingly Sarada Jena is in party’s ticket lobby along with Lalatendu Mohapatra. Moreover district congress committee working president and a former ZP member Sibaprasad Das is aspiring for the party ticket along with one Sushant Kunongo a Supreme Court lawyer and member of AICC human rights cell is in ticket race. There are at least five aspirants seeking for Congress ticket for the Tirtol [sc] assembly seat. Perpetual congress candidate for the seat advocate Raj Kishor Behera, ex congress veteran late Laxman Mallick kin Pratima Mallick and Devi Prasanna Mallick including a Tirtol congress leader Deva Mallick, former MP Bibhu Prasad Tarai are aspiring party ticket for the 2019 assembly elections. In 2014 assembly elections Congress candidate Rajkishor Behera had scored only 33.21% votes against BJD candidate Dr Rajashree Mallick secured 55.20% votes. BJD won the seat defeating congress candidate Rajkishor Behera by huge margin 35,448 votes. In last 2009 assembly polls too congress had faced fiasco when BJD candidate Rabi Bhoi defeated congress candidate Rajkishor Behera by margin of 32,023 votes. While the OPCC has decided to give priority to the new faces and the winnability factor while selecting party candidate for the 2019 polls it is horrible task for the party leaders selecting a Congress candidate for the Tirtol [SC] seat among the five aspirants.